grazing. The purpose of this is to prevent overgrazing by allowing adequate time for pastures to regenerate before they are grazed again. This requires the forage to be monitored while livestock is occupying a pasture and once livestock has been removed from the pasture. Different species of livestock are also rotated through pastures since they prefer different types of forage. For example, when our sheep are moved to a fresh new pasture, the chickens are rotated to the old pasture, where they scratch through the droppings left by the sheep, eat possibly harmful organisms, and spread the manure over the grazed field, facilitating new growth. The rotational grazing program provides the animals with year round forage, sunlight and fresh air which minimizes disease issues and supports overall animal health. Often a system of fencing or electric fencing is used to divide paddocks and maintain livestock occupation of a particular pasture. Grazing serves as an alternative to providing feed for livestock and includes benefits such as lower costs, minimized livestock disease and decreased soil erosion. Our oldest livestock are the sheep. 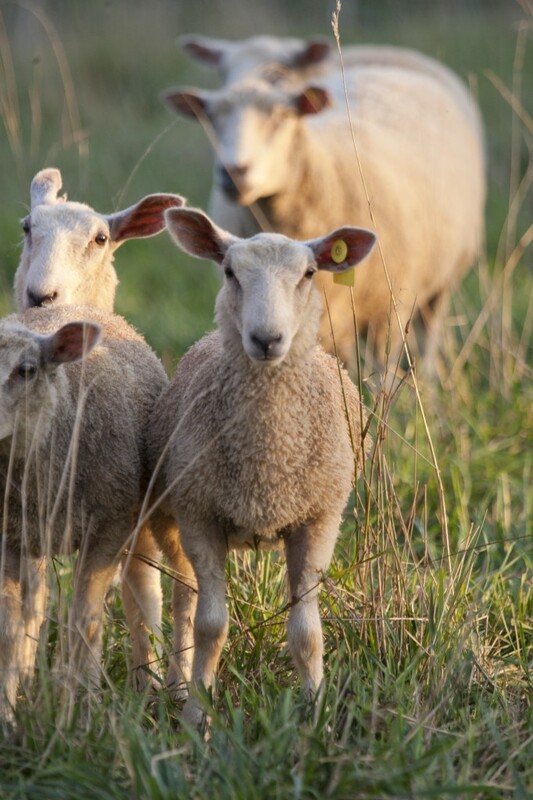 The farm owns a flock of about ten ewes and raises lambs annually that are sold to the public. If you visit the farm, you may not see our sheep because we practice rotational grazing (see above for definition). The farm raises two kinds of chickens: layers for eggs and broiler chickens for meat production. There are about one hundred hens which lay eggs every one-two days, and about fifty broiler chickens raised in the spring and fall that are butchered for special events or sold to the public. In addition to the sheep and chickens, Dickinson began raising black angus beef cattle in the summer of 2011. In 2012, the farm purchased ten of its own cattle to raise on eighteen acres of pasture on the farm. The farm’s cattle will one day provide 100% grass-fed beef to the Dickinson community. The farm was awarded a $13,545 grant from the Capital Resource Conservation and Development Area Council to begin raising beef cattle. This grant allowed the farm to transform an eighteen-acre plot of land into pasture for livestock. The farm’s pastures can support up to 25 cattle. “Out at the Dickinson College Farm, it’s cow day. It’s hot, and the sky is clear. Jenn Halpin, director of the farm, stands in a dirt path that cuts through acres of perennial forages, taking pictures. To the north and extending out to the west are 12 acres, recently fenced, where the cattle should be, and they aren’t. Last year, Halpin says, the 1,000-pound animals hopped the fence to join the neighboring dairy herd. It took all day to coax them back. ‘It’s always an adventure on the farm,’ she says. Bob, the local farmer who has loaned the cattle to the college, drives up in a truck with a rig attached to the back, presumably used to haul the cattle out to Dickinson’s 180-acre farm in Boiling Springs, Pa., earlier that day. Bob and Jenn joke, and as he heads off, she calls him the farm’s livestock mentor. 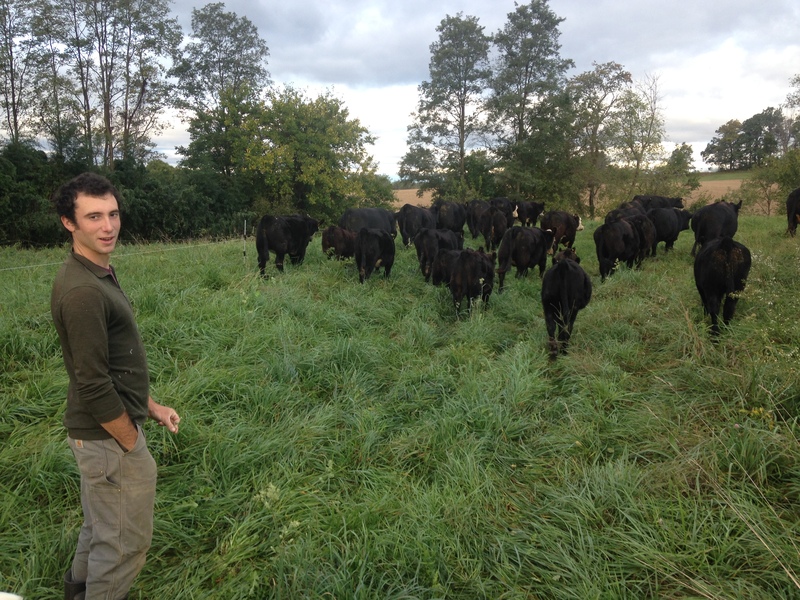 Since last year, he’s worked with farm staff to improve their beef-cattle-grazing operation that ultimately will supply the college Dining Hall with local, grass-fed beef.